Still Confused About Scales & Modes On Guitar? Do you know why they are able to do that while you struggle? Are they naturally more creative than you are? No. Are they smarter than you are? No. Are they more talented than you are? No. Are they more experienced than you are? Some may be, but others are not. So why and how do these players create cool guitar solos so easily while you struggle to do the same? You’ve probably tried to learn this stuff before, but you just didn’t fully get it. …But it’s Not Your Fault! Truth is, most music teachers, books and videos don't know how to teach it in a way that is easy to understand and easy to use. Here’s what they do: They try to teach you scales & modes like an art teacher who gives you some basic colors and then tells you to paint stick people when you really want to paint like Michelangelo ... BORING! No wonder you’ve struggled with this… I did too for a long time until I finally found someone to explain this in a clear and easy-to-use way. 7 Ways How Not Being Able To Creatively Use Scales And Modes Is Already Hurting Your Guitar Playing…. Having Tunnel Vision: You approach soloing over each chord of a song in the same basic way(s). This causes your solos to sound the same… boring. Fearing The Unknown: You feel limited or even afraid to solo over certain chord progressions because you are not sure how to solo over them. You struggle just to figure out what scales or modes are best to use… All of that thinking leaves no room in your mind to actually be creative which again causes your soloing to sound… boring! Becoming Enslaved By CAGED: The most damaging aspect of the CAGED system is that it makes guitar players falsely believe they know their fretboard, scales and modes, but in reality, they don’t. Worse still, the horrible CAGED system severely limits your creativity as a guitar player… this yet again makes your soloing tend to sound amateurish, the same and boring. No Instructions Included: When you learn a new scale, you don’t really know how to become creative with it. You just play up and down the scale or try to make the licks you already know from other scales fit into the new one, but it usually does not work. As a result, you either give up on the scale completely or just avoid using it and go back to the same old stuff you always play. Struggling To Write Songs: One of the most useful tools used in songwriting is knowing exactly how to use a wide range of scales & modes to compose songs. Most people who know scales and modes on the guitar still don’t know how to create great songs with them. It’s not hard to do… if you know how to use them in your songwriting. 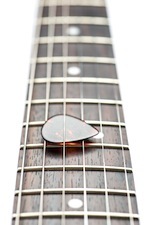 Lacking A Modal Mind’s Eye: You find it difficult to visualize, play and use the modes on the guitar fretboard. Even if you know all your patterns, often you will find that they constrict you to the same area of the fretboard. And it's very likely that you can play only in ONE mode at a time - changing key or mode in the same solo is not easy for you. 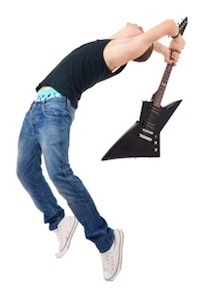 Simply Not Understanding It All: There is so much conflicting, incomplete and flat out wrong information about scales and modes for guitar on the internet (and in books). This makes it difficult to correctly learn, understand, master and use them in your playing. And if you cannot use them, you will never be able to become the guitarist you want to be. A simple to learn, simple to understand and simple to master system for understanding, learning, mastering and actually using scales and modes in real music without any limitations. 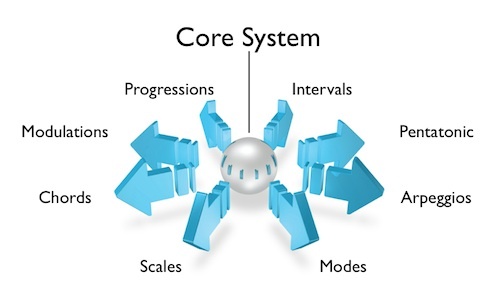 Armed with the core knowledge this system will give you, you will be able to learn and connect everything there is to know about the modes, and at the same time use everything you are going to learn to play real music. The secret is to stay focused on a single (correct) system of learning and using the modes. Searching for random bits of information on YouTube won’t solve the problem. It IS the problem. exercises to CONNECT these scale patterns together so you can move seamlessly from one to another. exercises to UNDERSTAND the scale patterns and how they relate to the theory and to your playing. exercises to NAVIGATE the fretboard both inside the single pattern and using more than one pattern so that you can move at will in ANY direction you want over the guitar neck. Learning scales and modes on the guitar is simply not enough. You need a holistic approach to learn scales together with a set of chords and specific ways to put everything together. Most "books on scales" (and teachers who teach modes and scales) fail miserably at this. They just teach you some scale patterns and NEVER cover the important issue of composing songs with modes. The irony here is that it’s actually easier to learn the modes together with their chords which allows you to create more interesting solos (plus, it’s more fun to learn this way). How to create unique, creative and better guitar solos by learning and using scales & modes in ways you have never done before… even if your guitar skills are not advanced yet. How to never feel “stuck” when improvising. You will learn exactly how to choose the right scale or mode for any song you want to solo over. How to learn, memorize and visualize new cool scales & modes quickly so you can start using them right away to create better solos and better songs. How to use the scales and modes you may already know in completely new ways so that your musical creativity improves fast. How to use scales and modes more creatively than you are using them now or have ever used them in the past even if you’ve been trying to do this for 30 years! Finally and perfectly understand exactly how scales and modes really work (it’s more simple than you think) so you can use them in real-life situations without being scared by "difficult" situations like key and modal changes. Never again feel limited, unsure or stuck to solo over certain chords that don't seem to fit perfectly in key. Learn the right things in the right order. The specific order in which you learn is critical to quickly understand, master and use modes. The secret trick that always works to shift from one area of the fretboard to another when improvising, so that you will never "get stuck" in the same place on the neck. How to HEAR the difference between the different modes and recognize when they are used in a song, so that you will be able to play "by ear" whenever you wish. The secret (but incredibly simple) system that connects all the modes together so that you will be able to understand and visualize them in your mind ALL AT ONCE. This will enable you to finally focus only on being creative while playing and improvising instead of being trapped by thinking about where the scales and modes are on the fretboard. Learn the specific emotion that is unique to each scale & mode and how to express these emotions in your own guitar playing and songwriting. Go deeper than the emotion of each mode. You will learn that each note of every mode has its own emotion. I’ll teach you how to use each of these emotions in your playing and songwriting so you become a better musician, better soloist and better songwriter. Discover the critical difference between a scale pattern and an actual mode. This little, often-forgotten piece of information is of VITAL importance if you want to be able to actually use your modes to make music. Avoid sounding like a "scale machine" by learning cool, creative and expressive ways to use scales instead of just playing scales up and down (boring!). Learn how modes, arpeggios and pentatonic scales all fit together so that you can easily integrate them in your guitar playing. Learning just this one thing alone will make you a much better guitar player capable of improvising better solos and writing better songs. Learn not just the standard 7 modes, but dozens of other great sounding scales and modes that sound amazing but are unknown to most guitar players... Once you learn to use these exotic scales, your guitar playing, soloing and songwriting will become very unique and stand out from the crowd! 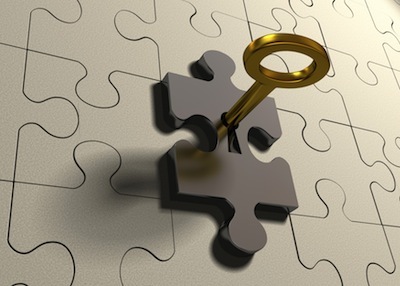 How NOT to be restricted by the key you are in: using ideas like modal borrowing, modal exchange and pitch axis (all explained in the course), you will be able to break your songs free of a single scale/key and steer it in the direction you want! Discover the "ambiguous modality" trick and how to use it. This is one of the best kept secrets of professional songwriters... and yes it’s used in MANY songs you know. Avoid feeling embarrassed when a "strange" chord appears in a chord progression that you are trying to solo over. This course is for ALL styles: from Jazz to Metal, from Blues to Fusion, from Country to Punk, from Pop to Rock. Modal Concepts & Applications Video Lesson: You see and hear every concept fully explained and every example played on the guitar so that you can quickly and easily follow along. Modal Concepts & Applications Audio Lesson: Here, you learn to visualize and internalize what you learned in the video lesson. The content of this audio lesson is the same as in the video lesson. The big benefit to you is that listening again to the lessons without being able to see what I'm demonstrating, forces you to really learn these concepts & internalize them so they become second nature in your mind. This is critical to fully master what you are learning! In addition, you can listen to and review this audio lesson in your mp3 player anytime, anywhere. Modal Concepts & Applications PDF Lesson: You get all the tablature, charts and diagrams plus a full transcript of the video lesson to make sure you fully understand everything in your lesson. Modal Spotlight PDF Lesson: In this lesson, we drill very deep into a mode so that you develop not just understanding of the mode itself, but a complete mastery of the mode, all its positions, its emotions, its corresponding arpeggios, modal chord progressions, modal backing tracks, killer modal phrases unique to the mode and great songwriting tips, tricks and tactics for the mode. Collecting all the "Modal Spotlights, you will have your very own "Modal Encyclopedia" at the end of the course that you can use as a fast reference for every mode. Modal Training Track (MP3): In every lesson you will get a new modal training track so that you can start immediately to train all the skills that you are learning in the "Modal Concepts and Applications" and "Modal Spotlight". Unlike other courses you might find about scales and modes, only this course contains actual “training” tracks to ensure you master the modes faster. These Modal Training Tracks are not the same as typical “backing tracks”. What’s the difference? Backing tracks are designed for playing around or jamming… they don’t have much direct benefit to helping you learn and master the modes. These modal training tracks are specifically and uniquely designed for you to train and master each mode fluently and effortlessly. 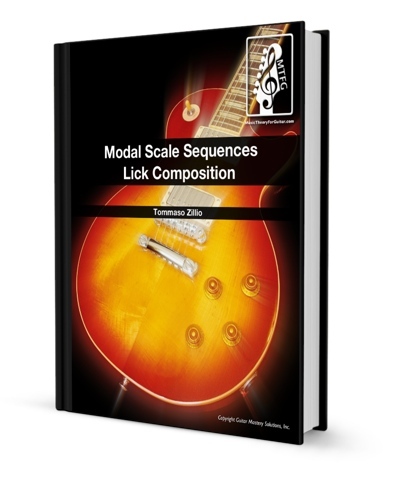 Bonus 1: Modal Scale Sequences Lick Composition eBook that will help you fill the gap between knowing the scales and playing GREAT music on the very same scales. In this eBook, I will give you 42 cool scale sequences to be used as examples (once you have learned them, you can modify them to also create your own! 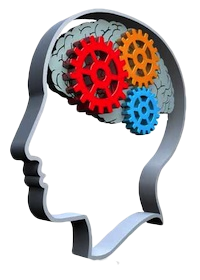 ), and I will explain in detail how to use them to train yourself to be the most creative player you can be. A 50-page eBook containing 42 of the best-sounding scale sequences that you can use as building blocks for your melodies, licks, and solos. Every single sequence is presented in both standard notation and tablature. A thorough explanation with examples of how to take a scale sequence and create actual music using it. A serious workout for your guitar technique that will boost your playing abilities beyond what you think is possible right now. Yes, this is a scales and modes course, but by learning the scale sequences you will automatically become more precise, more versatile, and a faster guitar player. It's a side benefit, but a very welcome one! 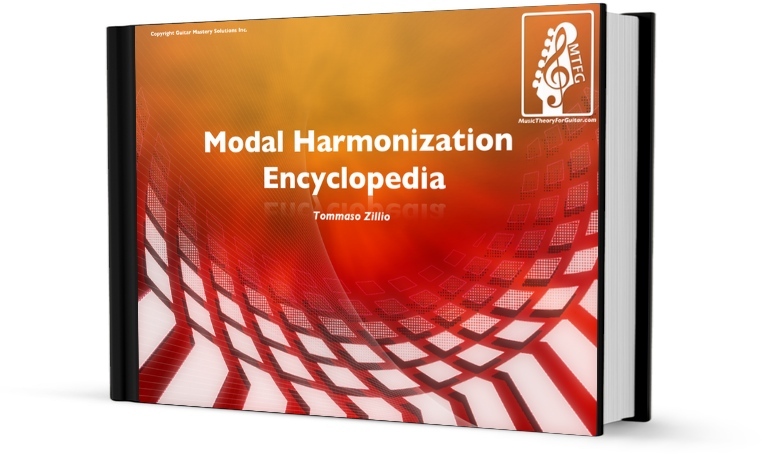 Bonus 2: The Modal Harmonization Encyclopedia eBook that lays out for you ALL the chords in ALL the modes for ALL the keys in easy-to-read tables so that you immediately see all the chords that fit with each and every scale & mode. A 40-page eBook containing color tables that not only gives you ALL the chords in ALL the modes in ALL the keys but also gives you all the possible alterations and tension notes so you can easily create music with more drama, passion and interest. ==>	Want to know what the best options are when trying to create a song in a Phrygian Dominant mode? You’ll see your options instantly! 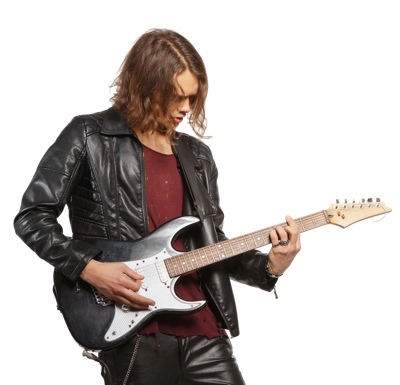 ==>	Want to know what the most dramatic notes to play when soloing in the Lydian mode? You’ll see them immediately! ==>	Not sure what scales or modes you use over a certain chord or series of chords? You’ll see them in a matter of seconds! Master of the Modes is different from any other course I have seen before. It goes in depth into the theory and application of modes. Most of the material covered here is exclusive to this course. I've never seen any other instructional product present the material in such an organized and easy-to-digest format. I would recommend this course to anyone who needs a deep understanding of the modes. Until I discovered Master of the Modes, my music theory knowledge was basic and to be honest I thought it was boring and not that important. I signed up for MOTM and all of a sudden music theory became interesting, fun and relevant. After my first lesson I was hooked. The material is presented extremely well and at no time have I glazed over and felt bored. Above all, you get to apply the theory to the guitar. It’s honestly the best thing I’ve done musically. Continuous light bulb moments. AWESOME!!!!!! I can honestly say that I have learnt more useful music theory in the last 9 months than I have in the last 44 years. I decided to try Tommaso Zillio’s Master of the Modes because I was getting more and more frustrated with my lead playing. I’m in band and very bored with the solos I play. I’m not a lead player but I would like to become one to the degree that I can make up my leads on the fly and have them add some zip to the songs I play. I have to say Master of the Modes has been very helpful in starting me towards accomplishing my goal. For several months now I have been working on the exercises he gives and getting the modes down which has opened up the fretboard a lot. Before taking this course, I practiced scales over and over but it never came together for me and admittedly, I didn't want to spend what little free time I had learning a bunch of theory and getting bogged down in it. So when I started Tomasso's course, I was pleasantly surprised at how streamlined each lesson is. He picks a topic, explains it very clearly on the whiteboard, and through examples, then leaves you with exercises to practice. I don't have a lot of time so I like how he gets right to the point. And the amount of material he covers per lesson I find for me is just right. 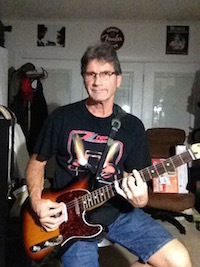 Through the months I have learned the shapes and patterns of the modes, the formulas that make up the modes, how to find which mode is best for soloing over each chord, phrasing ideas for structuring a lead, dominant, augmented and diminished chords, etc. An unexpected plus, my speed has also improved even without doing speed exercises. But as he says “your fingers can move faster when they know where they are going.” I really like him as a teacher and find his video lessons to be very professional. I highly recommend Tommaso’s Master of the Modes for any and all who like me want to learn and improve so they can develop their true creativity. I had been playing guitar for less than three years, mostly self-taught, and with little understanding of music theory, when I realised that I was stuck. 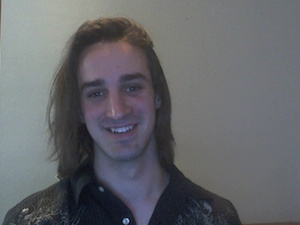 I chose Tommaso Zillio's course because I decided to break out of my limited music writing skills, giving myself the tools to become a better guitarist for my very own enjoyment and, as a bonus, to spice up my playing when jamming with other musicians. What I wanted was a course where each lesson would be clear and easily digestible, so that it would teach me (relatively) small bits of theory at a time, in a way that was also practical and very concrete. Not only am I getting this out of the Master of the Modes course, the included spotlight sessions and the recommended exercises give me the chance to learn and to try new interesting ideas and patterns. I can jam along the provided recorded tracks, and actually get a very concrete idea of what I am studying. This also gives me an undeniable sense of accomplishment. If you are tired of always using the same chord progressions in your songs, and you want to be able to better express yourself through music, then this is the right course for you. Take control of the music you write and play, one lesson at a time. This course is unlike everything I've ever seen on the topic of learning and mastering modes. 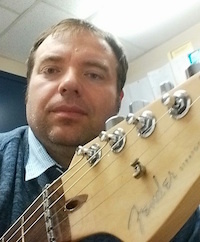 In my experience as a teacher I found that modes are one of the hardest things to teach by far, and one of the main reasons why it's so hard for most guitar students to understand and master modes is because their brain is typically filled with little pieces of information that they found online which are, frankly, most of the time completely wrong and worthless. If you've been struggling with modes for the longest time and are tired of being frustrated, then this is the course for you. I've been trying for some time to find a straight forward and logical way of learning modes/scales/music theory, but I didn't want to be misled or taught false information; (which I find all over the internet) Tommaso presents it neatly and in an order that just seems more and more logical after each lesson with the Master of the Modes course. 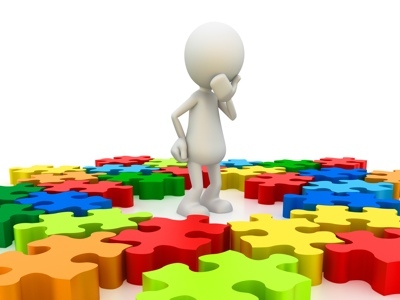 He will present an idea, and that same idea will interconnect with future lessons; which is very motivating once all the pieces start coming together. You've just got to be prepared to start from square on and be serious about what you’re learning. I would definitely recommend this course to anyone who wants to understand the musical modes and music theory; I have learnt more in the past few months of this course than I have in the 12+ years I have been playing guitar. This course has been AMAZING. I’ve been trying to understand modes for 5 years now and I never could really grasp the concepts. At most I got the general concepts, but with no clear way to connect everything. After Starting the Master Of The Modes course, my knowledge grew exponentially. Every lesson has great useful information that will help you put all the pieces and ideas of the modes together. It actually makes sense now, instead of being this confusing nonsense that no one could ever explain to me clearly. The most redeeming part of the Master of Modes series has to be the detail put into the course. There are lots of tactics and ideas that really help show how the modes work. Tommaso ( the instructor for the course) does a great job hitting every nook and cranny of the modes. I have yet to be confused or have additional questions after watching a video from his series. He has clearly taught this subject to a myriad of people. This course is entirely different than any other course than you've seen on scales and modes. It will teach you the theory, but more important, it will teach you how to apply this theory into your playing. It will show you how to easily go from a chord progression into determining which chords and scales are going to fit so that you can make music on that chord progression and play a solo. 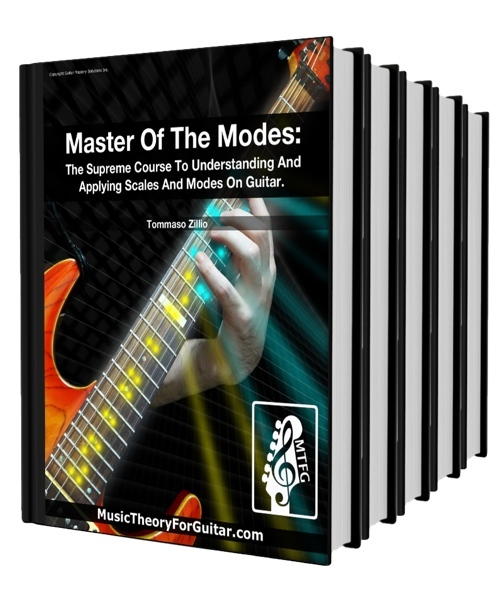 I highly recommend Master Of The Modes: The Supreme Course To Understanding And Applying Scales And Modes On Guitar: Tommaso Zillio has put together an awesome course here and it's gong to make your improvisation, understanding of music and musicianship take off. Get it today! I think this course is one of the best things you can find online. 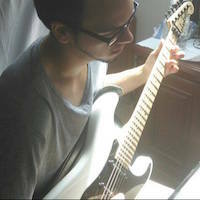 I'm up with my 8th lesson now and I look forward until we dig deeper into the feeling of every note of all those modes. This is stuff you won't find elsewhere online. I bought several other courses and find until now that this course is the best in explaining everything (You will not have questions afterwards). There is a part of the lessons that is called 'Spotlight'. Here you can start playing immediately in the modes with great sounding backing tracks. I really love this part of the course. It's also explained in the 3note per string patterns so If you want you can develop higher levels of technique and be able to play fluently all over the fret board. I would refer this course to my friends because I know Tommaso is a specialist when it comes to music theory. I think your course is the first one to really talk about the modes in a way that doesn’t rely on rote memorization. It is well rounded and I’m enjoying it very much. Before I met Tommaso I was pretty much stuck in a huge rut, playing Maj & Min Pentatonic scales not knowing where to go to get that inner creative side of myself. Really Ya'll, learning all the material that I have worked with now has improved my level of playing that I finally have the confidence to play without having to guess or play the same Pentatonic scales that after a while were getting hard to work with due to the fact I was stagnant in my abilities. Learning the scales and modal system the way Tommaso is teaching is the best way to approach this, it's not an overnight thing it takes an attitude of want and need, awareness of how far do I want to go with this, I chose ALL THE WAY....Do yourself a favor do the course, knuckle down, have stamina and endurance, don't wait like I did because if I had taken the stance of I need this in order to be a professional guitar player I would have been a Pro 20 yrs ago,that's how serious this is to know. I also have ADD and to concentrate on one thing and stay focused is difficult, always getting side tracked but the advancement in my knowledge and playing abilities has kept me in the game and I am not a quitter. I will continue to get better because I continue to be a student of Tommaso Zillio. It’s so much more than just a bunch of scale shapes and vague instruction on how to use them. 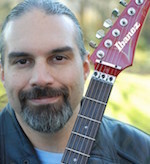 With “Master Of The Modes, The Supreme Course To Understanding And Applying Scales And Modes On Guitar” you will learn how to link all the modes and concepts you learn together, and have many different and easy ways to apply them in whatever style of music you play be it Rock, Metal, Blues, Jazz etc. !! This is very hands on, it’s not endless amounts of boring theory, before you even touch your guitar, like so many other resources out there! I cannot recommend this highly enough. This is truly the ultimate course for learning and applying modes to your guitar playing! Tommaso has built a great course here with the Master of the Modes. He has put in a huge amount of effort to not build yet another regurgitation of everything you have probably read about Modes. Instead he has implemented a complete system where you learn to continuously integrate theory and the "flavour" of the modes in to your playing in a systematic way. The information is presented in a way that is not confusing or contradictory like so much of what you will find out on the Internet. 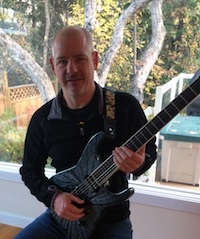 He has taken all the work out of collecting and sifting through the knowledge out there and built and end-to-end system specific for guitar and designed for practical application. The end result (after the required focused practice) is you will be totally fluent in the modes, how they sound and how to play them so you can use them to express what you are hearing and feeling in your mind with complete control in real-time. This course is not for you if you don’t want to work hard and follow the system. Its not a bunch of charts and repetitive unexplained exercises you learn by rote. Because of the way everything has been structured for you, you will be able to integrate this knowledge into your playing faster than you could on your own no matter how smart or dedicated you are. For me having a system makes learning exponentially more efficient which is really important to me as I am "later in life" to be starting guitar and need every advantage I can get to accelerate my learning! Like anything worth learning it takes time to truly assimilate the information and integrate it. The approach of this course is to give you doses of theory, practical advice, application exercises and real music to apply this against. Tommaso is doing it in chunks that are "consumable" but challenging. I take these and integrate them in to my practice schedule to re-enforce them. I will never get bored - the combination of the Spotlights and lessons gives plenty to consume. With this course I have a definitive source for everything to do with scales that I can continuously integrate and refer back to. It has value far beyond just watching the video once and "learning" the patterns like most other lessons. I will be consuming this course over many years and have something I can always refer back to. 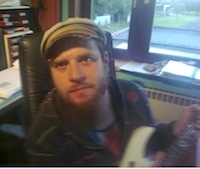 I am playing guitar for nearly 9 years, the last 6 years on my own. Or you know, looking for internet for lessons. 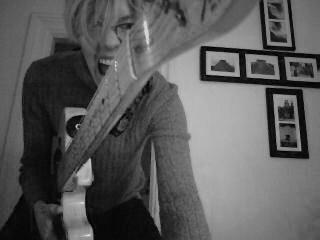 I didn’t have a structured way of learning to play guitar. Practically it was like a buffet: having some random information without a clear connection. So of course, I’ve had lots of days or even weeks without playing. Maybe guitar playing wasn’t for me I thought many times. Last year I landed by accident on Tommaso’s site for my next music theory fix (one of his Music Theory Articles). After all these years of struggling on the guitar, this was the first time I even learned that chords are diatonic with a scale if they contain the notes of its scale. After reading all the free articles, I knew he knew what he’s talking about. That’s when I took a leap to subscribe to Master of the Modes. Now, 9 lessons later, I am very happy to have done so. He doesn’t only give you information, but also shows what to do with it. 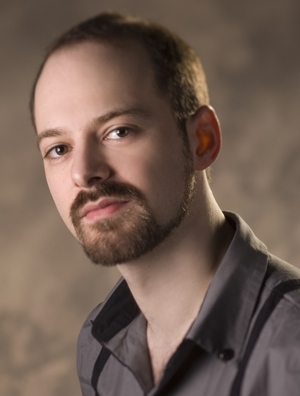 Tommaso has a very clear way of explaining music to you and he offers quality video format, voice and written theory. Music theory finally clicked to me. And to top it off, he reads and responds to your emails. Before, for a long time, I was lost in one of the pentatonic shapes (you know the one). Also, I was playing the same scale up and down and called it a solo (but I was bored with it). Now, I am slowly starting to jump from scale pattern to scale pattern with confidence with pleasing results. I am now lightyears closer to becoming a Master of the Modes. Thank you, Tommaso. My favorite thing about the Master of the Modes so far is not just the amount of amazing tips, tricks and things that I can use in my music composing and songwriting. 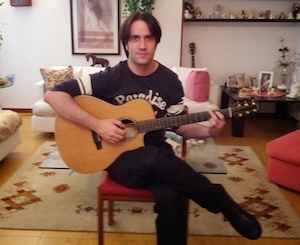 The thing that I love the most is the way to that Tommaso had applied it to the guitar, in a way that makes it easy for me to learn, to use, and use right now even when some of the concepts are quite difficult. Tommaso knows exactly where he is taking me, and I can see everything building along that path so that I know exactly what's happening on the guitar and I can use it to play something live in the moment or I can use to compose or songwriting. This is a very articulate, substance based course where there is no mystery, no "you will get it somehow in a subliminal, mysterious way", no exclusivity that only the some people can learn to play guitar for real. I like that everything is explained and there is no guessing. I believe that creativity is based on the skill and the skill can always be taught. I recently asked one professional musician about constructing a lydian progression and he answered "it comes with experience". This is precisely the problem with the myriad of incorrect, sidetracked, unexplained information on the internet. Experience comes with specific, precise and focussed learning and not meaningless doodling hoping that something will come out of it. If there is no precise, specific, explained instruction- there is no magic. You stagnate. I have been doodling for many years and nothing good came out of it. Tommaso's course is the first one and perhaps the only one that teaches modes in such a way that you and me, we will understand the subject, no guessing, no frustration. There is nothing to compare the course with because it blows out of the water the non-existing competition. What did you find until now, small bits and pieces that "modes start with a certain note of a major scale". This tells you nothing from practical (and theoretical, really) point of view. 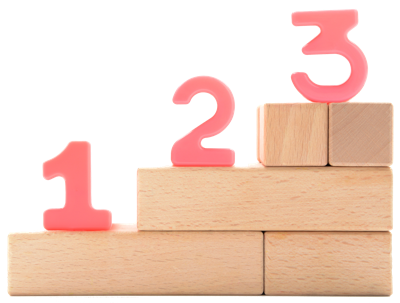 Ask yourself in an honest way, how to create a Dorian progression? How do you move to a brighter or darker sound? How come when you play a scale, it does not sound like a mode you want it to sound? How on earth My major chord does not sound in Lydian context? How do I manufacture, not by accident, but consciously, whenI want and when I need that Lydian sound? How to play a scale pattern from the first string in a mode you need, descending, without doing excruciating math in your head? I almost gave up playing, but thanks to this course I started playing again and it is fun to feel that you can create the modal feel you want anytime you want. I recommend this course because it works, it is to the point, it is both theoretical and practical and it opens your mind. In all the years teaching guitar and music theory I have never encountered a single student who did not learn and master the modes if they really wanted to… even if they were beginners when they started. So no, it's not too advanced for you. "I imagine the first lessons will go through the basics and so will be boring for more advanced players"
The first sessions DO go through the basics, but we are doing the basics in a completely different way than all the other courses out there (unless they copied it from here...), which is at the same time easier to understand and more powerful than the usual approaches. 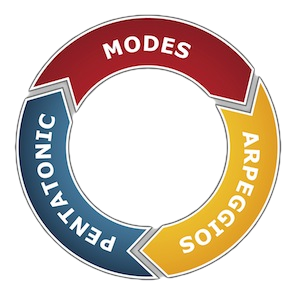 Many advanced students remarked how modes become incredibly simple in their mind once they have been through the first few sessions of Master of the Modes. In brief: it will not be boring, and it will help you take your playing to the next level. "Will your courses teach me how to improvise on chord progressions even though I do not wish to play the same style of music as you?" Yes. In this course I teach the music theory tools that are necessary to play in ANY style. I do make examples in different styles, and I give specific guidelines to change the mood, feeling, and style of anything you play. All music styles use the same scales - they just use them differently. Master of the Modes has already been used by students that play styles as different as Fusion, Metal, Jazz, Rock, Gipsy Jazz, Classical, Pop. The reason why you struggled in the past is that most teachers, books and videos on the subject don’t show you how to learn, understand, master and use scales & modes. They just give you the basic patterns and a few tips, but there is no real system to master and use them. So of course you were confused. This course solves that once and for all! "If I cannot get through all of the lesson content before the next lesson comes around, can I still access the previous lesson?" Yes. Every lesson you receive will be available in your account forever. This means that you can study your lessons at the pace you want, and you can always go back and review an earlier one. "Do I have to subscribe to all the lessons or can I stop at any time? If I stop, can I start again later?" You can stop at any time. Not only that, you will also keep access to all the sessions you got up to that moment. If after having stopped your subscription you change your mind and want start again, you will NOT need go back to the beginning: instead, you will pick up from where you left off. That is, you will NOT get "duplicate lessons". Pick the option you want to attend. Click on the correct orange button that says: “Add To Cart”. As soon as you do this, you will get instant access to your first lesson and your first bonus item. You will get your second bonus item with lesson 4. PS: If you hesitate to get this one-of-a-kind course on mastering scales & modes today, you’ll remain stuck with all the same problems you have been struggling with for a long time… nothing will change and you’ll continue to be frustrated with your limitations. The definition of insanity is doing the same thing over and over and expecting a different result... So do something different! Master the modes right now, click here to get started.